A North Wales health and safety company has grown by almost 40% year-on-year. Ruthin-based Workplace Worksafe has seen sales rise from £1.1million to over £1.5million and is now aiming to smash the £2million mark in the next 12 months. Alongside the financial growth, Managing Director Rhian Parry has also completed the purchase of the business’s 4,000 sq. ft. premises on the Lon Parcwr Industrial Estate. One of the fastest growing parts of the business has been the innovative critical component protectors developed for sectors including wind farms, oil and gas, nuclear and defence. Sales of the protectors have almost doubled in the last 12 months. The company was founded by Rhian in 2005 and employs 14 people. 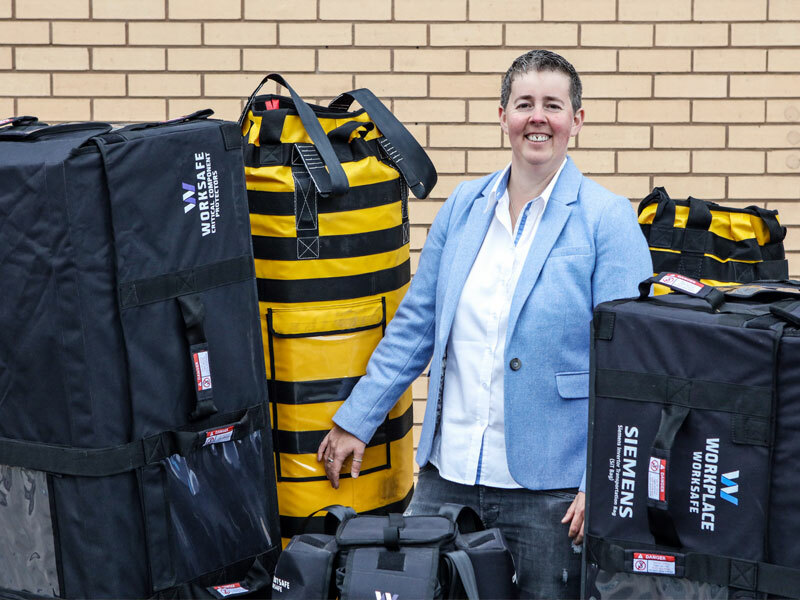 In addition to the protectors, Workplace Worksafe is one of Wales’ leading suppliers of workplace PPE, accessories, branded work wear and corporate wear. The firm offers more than 60,000 products to a range of construction and engineering clients in the UK and Europe. Among the fastest growing export markets are Denmark and Germany. “We have big plans to continue growing Workplace Worksafe over the next couple of years. We took the strategic decision to purchase our headquarters in Ruthin and we are further investing in our IT infrastructure and bringing new people into the team. “We have a passion for innovation and product development – the critical component protectors were invented by ourselves to meet a specific problem encountered by one of the world’s biggest companies. Our products have since saved them over £10million and are now being used by customers around the world. “I returned to North Wales to set up the business in 2005 and I am proud of the jobs I have created and the opportunities my team have to build successful careers in such a beautiful part of the world.